Living in close proximity to ever-rising water can be a difficult prospect, and while the Dutch have come up with all sorts of ways to work with instead of against it, this is a new achievement: apartments that float. 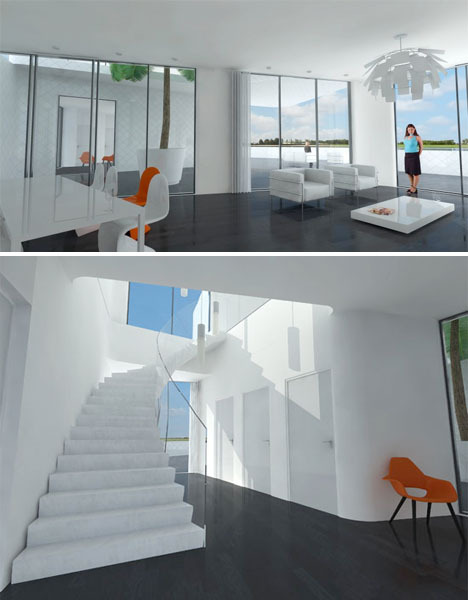 The Citadel is a luxury development by Waterstudio NL, set to start construction in early 2014. Sixty stacked units will be built on a deck with easy access to land, on top of a large, heavy floating concrete structure. 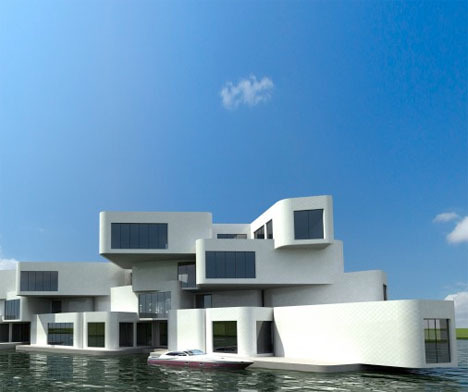 The site where these floating apartments will be built is currently a ‘polder,’ one of 3,500 patches of low-lying land that are kept artificially water-free by constant pumping. Rather than continue the futile effort of keeping the water out, the architects will stop the pumping, re-flooding the area. 180 modular components will make up the complex, including large terraces and a car park, with the apartments arranged around a central courtyard. 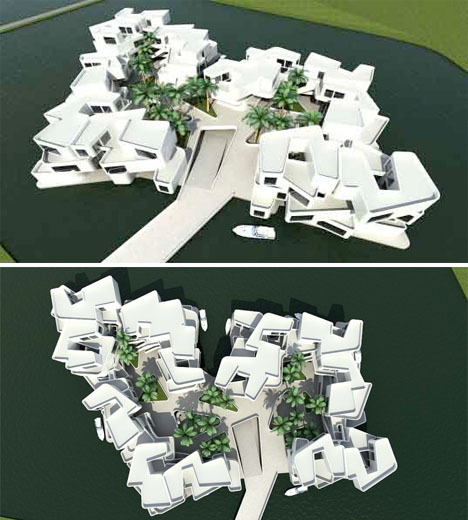 The Citadel will float on six feet of water, which will ultimately rise to 12 feet. 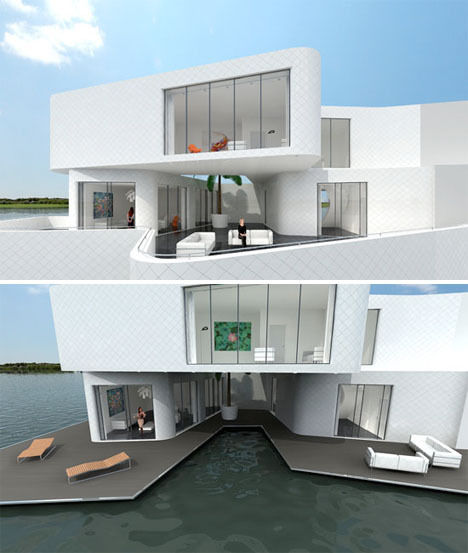 Each unit will have views of the water, and many will offer space for the owners’ individual boats. The flooded polder will act as a regional contingency water storage area, and is expected to host a lot more water-based development in the future, including 1200 additional dwellings. Energy saving features, greenhouse units and green roofs are among the efforts to make the complex sustainable.